Add the chocolate to a microwave safe bowl and microwave for 1 minute. Stir and then microwave for 30 seconds. Stir and microwave for 30 more seconds and then it should be melted. 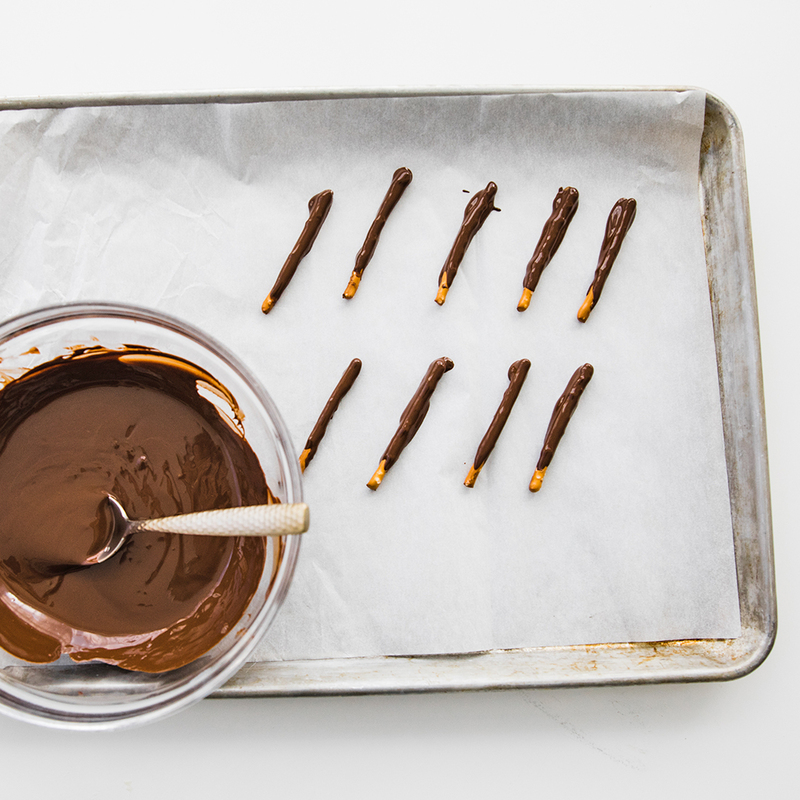 Next, submerge the pretzel sticks into the chocolate and set aside spread out on a piece of parchment paper until the chocolate has hardened. 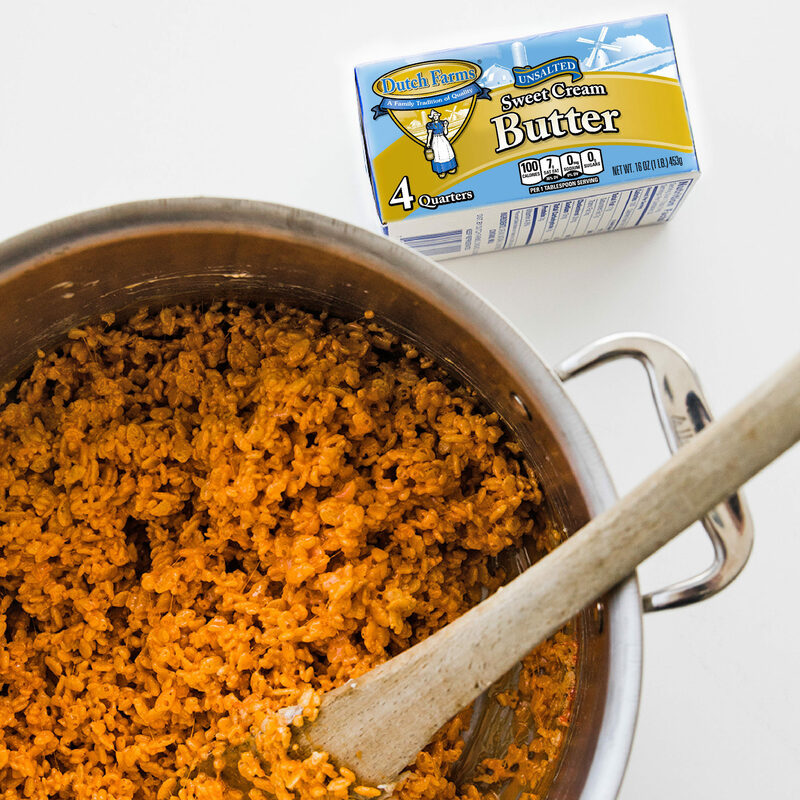 Next, add the butter to a large pot over medium heat until melted. 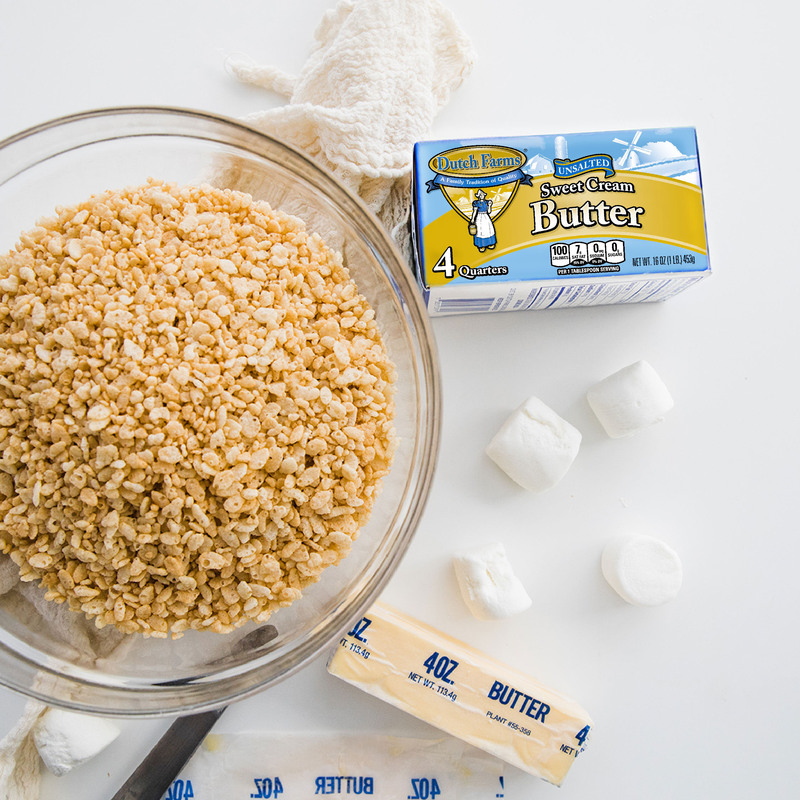 Stir in the marshmallows and turn the heat down to low while constantly stirring until the marshmallows are melted. Mix in the food colorings until combined and then add in the rice krispie cereal. 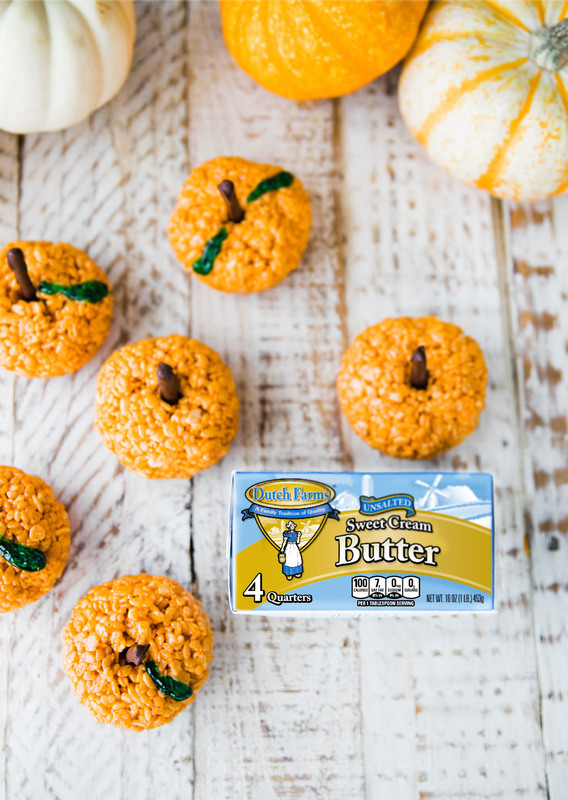 Mix until completely combined and then take a large handful and form it together until it is the shape of a pumpkin. Note: let the mixture cool for a 1 to 2 minute before forming them. Dip your hands in water before forming them. Try letting them sit in a muffin tin to help form. 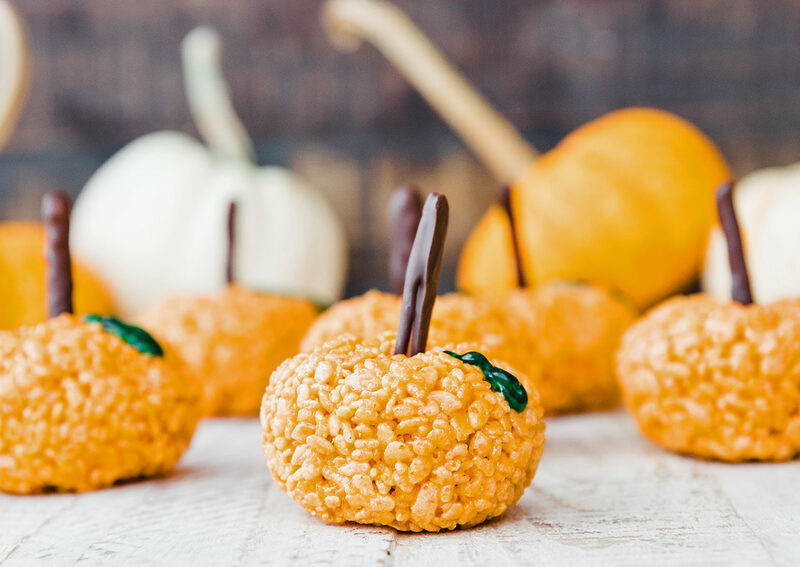 Add the chocolate dipped pretzel sticks into the center of the pumpkin rice krispie treat and add on optional green icing for leaves.